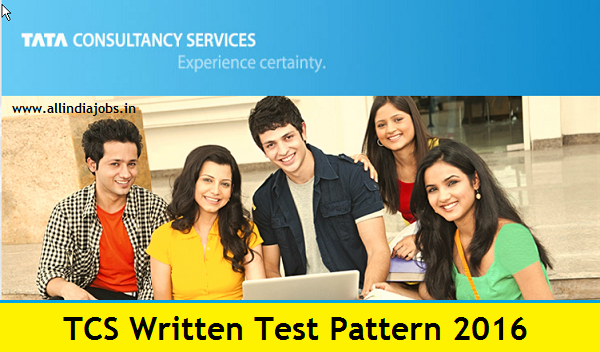 Dear readers, we have provided TCS test pattern, syllabus, and selection process for your reference. Test pattern and syllabus are the two important things that each job aspirant should know before attending the interview of any company. If know the written test pattern and syllabus, you can easily crack the online test or written test with ease. One more important thing is, knowing TCS Syllabus and the test pattern is not enough 🙂 You should practice and prepare well to crack any interview. All the best for your TCS job interview. Keep visiting All India Jobs for latest syllabus, test pattern and job updates. 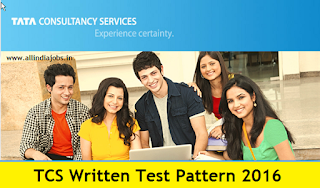 TCS Online Test Pattern and Syllabus for freshers. Tata Consultancy Services selection or recruitment process 2016-2017. TCS has not changed their test pattern in 2016 also. You need to answer 30 quantitative questions in 80 minutes. Sometimes companies conduct written tests through third party service providers such as AMCAT and eLitmus. So in such scenarios you need to prepare based on amcat syllabus and elitmus syllabus respectively. Email Writing: Email writing is the tricky part here. You need to perfect in grammar while writing the email. You will be given a topic as well as few keywords which you should use while writing an email. Also use simple English while writing email. searching job.Please alerted job from fresher.